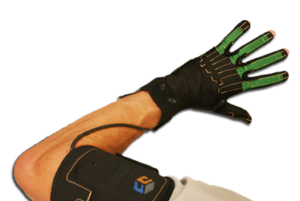 The MoCap Glove takes what the original CyberGlove products have established with 20 years of experience, producing improved and new features, capabilities and design that are perfectly suited for the motion capture environment. Cyberglove brings its years of experience, expertise and reliability through its unprecedented flex sensor technology. With significant improvements implemented to the new HyperSensor™ patented technology, motion hand capture data is clean, repeatable, and even more accurate. New Wi-Fi communication provides for improved connectivity and an increased operating range of more than 100 feet. Onboard Portable Data Storage: Allows for increased data storage, consistent data tracking, ability for multiple devices to capture simultaneously, faster plug-and-play for ease of data retrieval; various storage capacities gives more flexibility. Jam Synch: Synchronize the MoCap Gloves to the stage master time code clock analog with other motion capture systems, video and other peripheral devices (i.e. full-body and facial trackers, head cams, etc.). Power Save Mode: Extends battery life and recording time. 12-bit A-D Conversion: Compatibility with high resolution sensors without loss of precision. Future design capability for 16-bit A-D conversion. New Design: Compact housing delivers comfort and less intrusiveness. New arm band is perfectly suited for rigorous mobility during motion capture sessions with less hindrance to the actor. Sensor Mount Option: Mount camera marker on glove for tracking. 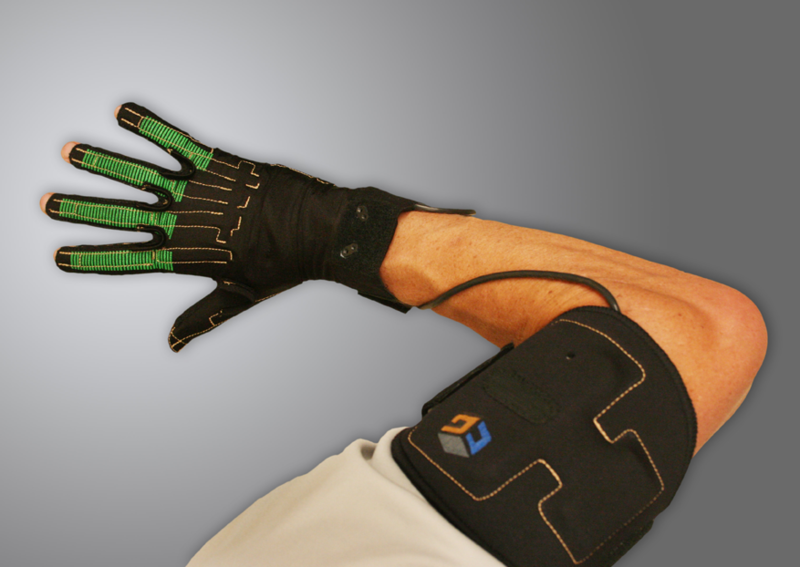 Active Palm Arch Sensor: Produces additional hand data for even more realistic animations. Backwards Compatibility: Continued support for existing software applications. Enhanced Command Set: Enables precise control of data capture, independantly from each channel (Wi-Fi, SD Card and USB).